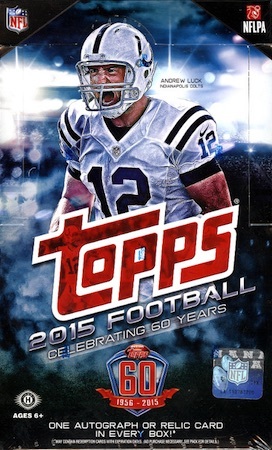 2015 Topps Football represents the brand's 60th anniversary. While the main design and majority of the content is unmistakably modern, there are several nods to the past to go with them. The base set has 500 cards, which is 60 more than 2014. A total of 240 veterans are joined by 99 rookies. Other subsets include All-Pro and Fantasy Studs. Topp 60 ranks the best players in the league. 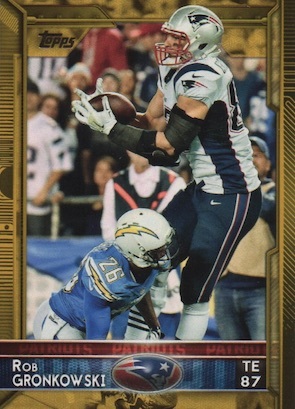 The 2015 Topps Football set also has cards for award winners, teams, the Super Bowl and a group shot from the Rookie Premiere. Topping things off are 40 Rookie Variations and 60 Veteran Variations that use different photos. Parallels are plentiful and revolve largely around color: Gold (#/2015), BCA Pink (#/499), STS Camo (#/399), Platinum (1/1) and Printing Plates. Exclusive to hobby and jumbo, 60th Anniversary parallels come with a foil stamp of the celebratory logo. They are numbered, appropriately enough, to 60. The birthday theme continues with the Topps 60th Anniversary insert set. The 100-card checklist uses designs from the past six decades to create new cards of current players, rookies and retired greats. Road to Victory (49 cards, 1:6) looks back on every Super Bowl. New Past and Present Performers (30 cards, 1:6) is a double-sided set that has a current star on the front and a retired player from the same franchise on the back. 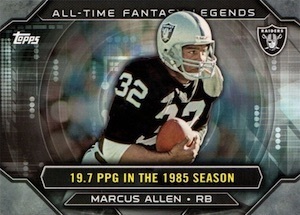 All-Time Fantasy Legends (50 cards, 1:4) looks back at players who were fantasy studs back in the day. 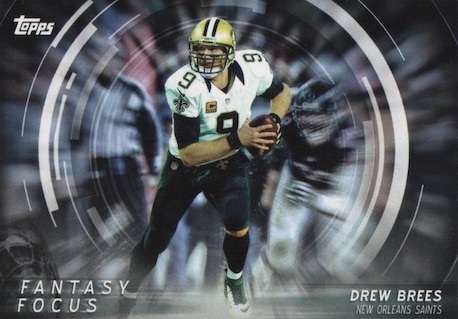 Fantasy Focus (50 cards, 1:4 packs) returns highlighting the top fantasy producers last year as well as rookies with the potential to do the same in 2015. Other returning basic inserts include 1,000 Yard Club (30 cards, 1:6) and 4,000 Yard Club (10 cards, 1:6). 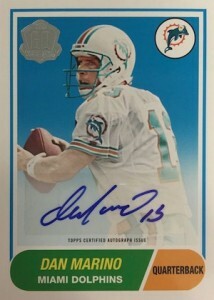 2015 Topps Football hobby boxes promise one autograph or memorabilia card. Jumbo boxes have two autographs and an exclusive Rookie Patch card. Among the signed inserts are Topps Autographs, Base Veteran Autographs, and Base Veteran Variation Autographs. Topps 60th Anniversary Autographs are similar to the insert set in that they use old designs. On the memorabilia side, Relics come with swatches from current and past players. Autograph Relics (#/50 or less) combine jersey swatches and ink. On the rare side of veteran gamers is In the Name Relics (1/1), which come with a letter swatch from the nameplate on the back of a jersey. 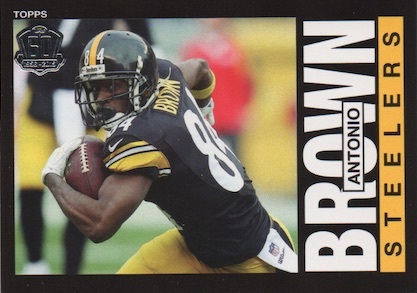 First-year players are highlighted in several hits-based inserts of their own. 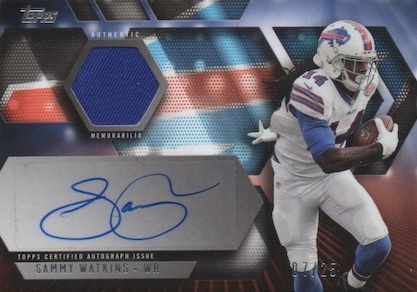 NFLPA Rookie Premiere Autographs feature on-card signatures and have Red Ink parallels (#/10). Rookie Premiere Dual Autographs (#/25) and Quad Autographs (#/10) come with multiple signatures. Rookie Autographs and Rookie Variation Autographs are essentially signed versions of base cards. Rookie Jumbo Patch Autographs are limited to players from the Rookie Premiere. Rookie Premiere Autographed VIP Pass cards (1/1) come with signed credentials from the event. 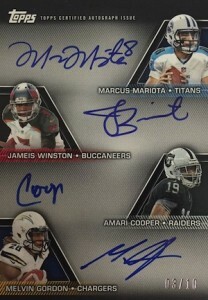 The Ultimate Rookie Autograph Card (#/5) returns with signatures from every player at the Rookie Premiere. Looking back at past sets are 1963 Topps Mini Rookie Autographs, 1976 Topps Rookie Autographs and 1987 Topps Super Rookie Autographs. All of these are signed on-card and serial numbered. The jumbo box-exclusive Rookie Patch cards feature only those at the Rookie Premiere. 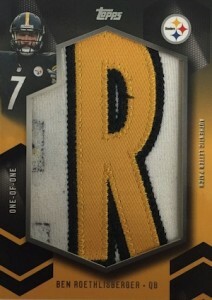 2015 Topps Football has five manu-relic sets. 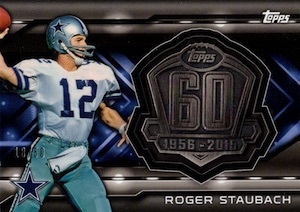 Topps 60th Anniversary Commemorative Relics (60 cards) come with a piece noting the anniversary. Parallels include Silver (#/50) and Gold (#/25). NFL Super Bowl Patch cards (#/50) have commemorative logo patches from all of the Super Bowls thus far. Quarterbacks, running backs and wide receivers all have separate Fantasy Club cards that have metal pieces embedded in them. They each have Bronze (#/75), Silver (#/50) and Gold (#/25) parallels. Every hobby and jumbo box comes with one Stamped Buyback. These are original Topps cards with an added foil stamp. 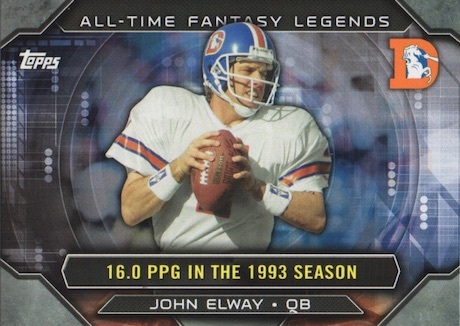 2015 Topps Field Access autograph John Elway card numbered 24 25! Jumbo (j) pack odds noted below when available. 500 cards. Shop for base sets on eBay. 100 cards. View our full variations guide here. PARALLEL CARDS: Blue (Walmart), Red (Target), Silver, Gold #/150. 35 cards. Serial numbered #/50 or less. 50 subjects. Serial numbered 1/1. Up to 40 cards. Serial numbered 1/1. 14 cards. 1 per case. 49 cards. Serial numbered #/50. Each NFL team has a card and those who hold the eventual Super Bowl winner can redeem for a Gold parallel set. View full details. Although listed on the pack odds, Topps announced that they are not in the product. 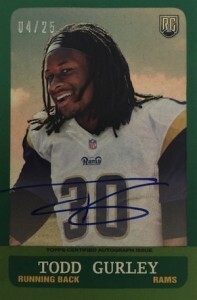 Here are the best deals on 2015 Topps Football Hobby boxes currently listed on eBay. 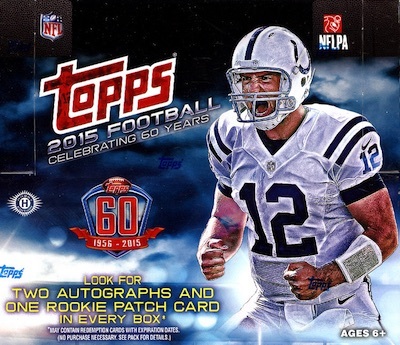 Here are the best deals on 2015 Topps Football Jumbo boxes currently listed on eBay. Good: Plenty of cards and designs, new focus on legends autographs, mix of modern and retro themes, 60th Anniversary inserts, fair pricing. Bad: Overboard on the fantasy aspect, simple relic card can be the only hit from the box, rookie base variations don’t add much, too many similar subsets in base set. 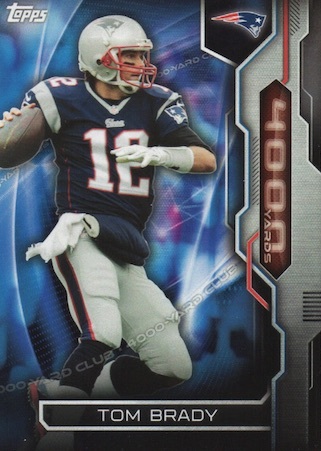 The Bottom Line: 2015 Topps Football is an upgrade from the previous year. Centered around the 60th anniversary, the former legends are a great option and that applies to both the base variation and autograph sets. While the inserts can get a little ridiculous and start to blend together, the 60th Anniversary cards are a notable addition. 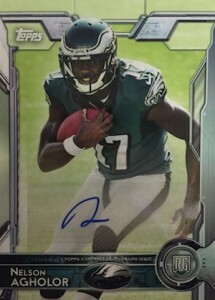 As long as you are not expecting big hits from each box, 2015 Topps FB is a solid product. In all honesty, I am still not sure if I like the base design. It certainly looks modern, but it walks the line of being a little busy for my taste. 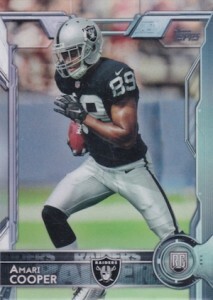 Regardless, I appreciate that Topps tried something new. While the base parallels do very little for me, I did like the look of the 60th Anniversary parallel. The red foil and Refractor-like design is very captivating. 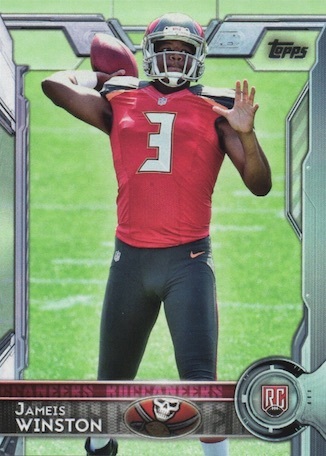 The inserts are a mixed bag in 2015 Topps Football. First, there are a ton and only a handful are memorable. Among the standouts, Past and Present Performers pairs two players from different eras that share the same team and normally the same position. The current players are on the front with a modern design and the back houses the retired players with a retro design. I think I would have preferred the “Past” player to be first, but otherwise, the card works well. I also like the Topps 60 inserts. The foil logo gives the cards a premium look and all the different designs from previous years offer a lot of variety. 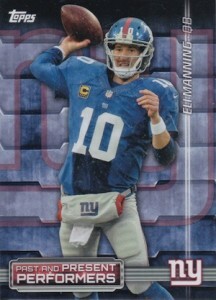 At 500 cards, Topps FB has a large base checklist. But when you realize that many of the players have 3+ cards in the checklist and the subsets don’t really look all that different, it can quickly get a little boring. If there is something to be gained from a huge checklist, like deep team rosters or more obscure rookies, I am all for it. But big for the sake of big makes a lot less sense. Seemingly here to stay, the variation bloat continues in the flagship product. At least the veteran players do have a theme of sorts, not to mention the legend variations, but the subtle differences for the rookies are kind of a joke. I know that is not exclusive to Topps, but when did this become the rule for sports cards? On the positive side, the retired content does offer more value overall and actually includes some big name autographs, like Brett Favre, Jerry Rice, Roger Staubach, Barry Sanders, and many others. 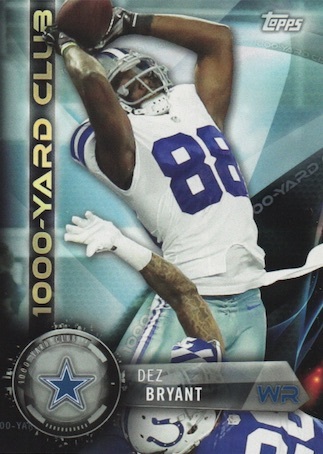 Make no mistake, there are some huge hits in 2015 Topps Football, but they are very tough to pull. This helps the value potential, but with only one hit per box, and it can either be a relic or an autograph, collectors face a tall task with value even given the lower price point. Like I said earlier, the retired content is the main source of value along with the limited on-card autographs for the rookie players. But there is a much better chance you end up with a plain relic and stack of base cards. Like all things, the fun of opening a box is something that is dictated by the individual collector. If you appreciate a lot of cards in one box and don’t need the hits, Topps Football is probably for you. I lean that direction but still like guaranteed autographs versus hits and don’t want to feel like I am sorting through filler cards. I believe Topps put forth a better effort in 2015 and the product was more fun for me overall. 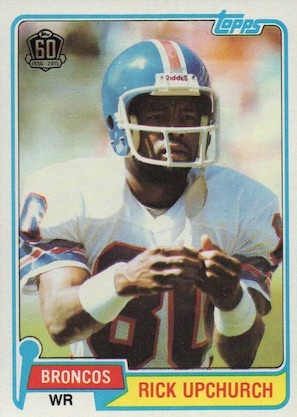 Sounds cool like the Odell Beckham Jr. Card. What Are the pack odds? 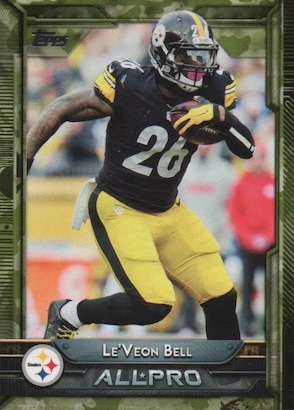 Is 2015 the last year of Topps Football? I heard that Panini and the NFLPA agreed to an exclusive license that’ll start in March of 2016. Ricardo Urrusuno � Panini does have an NFLPA exclusive starting in 2016. At this point, that does not include an NFL exclusive. We’ll see how it all shakes down. No matter what happens, this is the last year of status quo as we currently know it. Can’t wait for Topps 2015 !!!! Hard for me to rate the product before I have it in my hand. I notice no mention of a mini insert set. But if each jumbo contains one of each of the 7 inserts mentioned and a 2nd 60th anniversary insert plus one autograph/relic/variation/parallel/buyback, that leaves one card unaccounted for. Can someone explain to me what a buyback is? Tyler � Buybacks are original cards that have been reinserted in packs, usually autographed or with some sort of stamp. I’m kinda new to all this and living in Eugene, OR, so a big Duck fan. 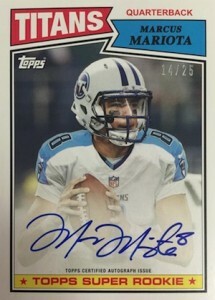 Anyone know which of the box options this year would stand the best chance of containing Marcus Mariota rookies? Trey, Thanks for the response. Yes, I’m looking for the Titans jersey, so it looks like I have to wait for the 8/26 box(es) to be released. One other question. I don’t see a purchase option above for the Jumbo Box, will that option be available later or can you somehow order it now? It says the base set has 500 cards with 240 veterans and 99 rookies. What are the other 161 cards? Matt � The remainder of the base set is addressed below that with the subsets mentioned. 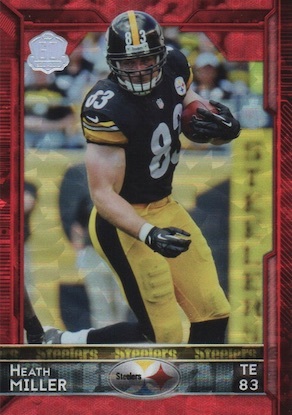 Will there be Topps Prime or Panini Prizm (NFL) this year? Presidential Celebration? If the Fantasy Focus insert set is still scheduled (not listed) and with the additions to the 1,000 and 4,000 yard clubs, we could have 370 inserts. And none of them appear to be numbered. Nothing makes collecting more fun than spending hours trying to alphabetize non-numbered cards. Also there seems to be a lot of Rookies in the 60th anniversary set. At least one who won’t even play this year. Dave McGarvey � Fantasy Focus is listed in the checklist above. I count 291 total inserts as Road to Victory (49 cards) was not included on the final checklist. 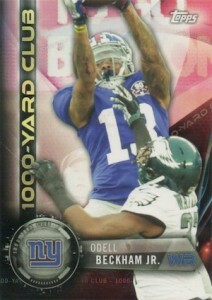 This is the second straight “down year” for Topps Football, in my opinion. The stock is flimsier (like last year) than it had been in 2012 and 2013, I believe. The inserts are boring. I contrast this to Topps baseball, which also is a low-end set very heavy on the inserts, but I think that product does a better job of making the inserts interesting and diverse. These inserts all sort of run together for me. Also, the base is set is just too big. 500 cards? With so many doubles of the same players, it’s just too much. The stamped buyback cards from different years are cool, but maybe TOO tough to pull. I bought 1 jumbo box and got 2 of them. One was a 1977 team checklist card of the Cardinals (which was cool) and one was a 2013 Roddy White card (not so cool). The colored border parallel cards — with the exception of the 60th anniversary ones — are cheap looking and difficult to identify. Specifically, the pink, gold and camo cards. I got one 60th anniversary parallel serial numbered to 60 of Jamaal Charles, and those are sharp looking cards. My hits were a base auto of Sammie Coates, a 1963 mini auto of Kevin White serial numbered to 25, and a Bryce Petty rookie patch. The White was a sweet, on-card auto. I did appreciate that all 3 hits were skill positions instead of OL or LB, etc. Overall, I think Topps could do more to make this low-end product more fun for base and insert collections, like Topps baseball is. 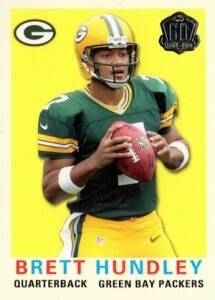 1- These cards are really ugly – worst Topps product in many years. They make some of the Score sets look good. Even worse than 2015 baseball which was pretty bad in itself. 2- Do not buy Retail 24 pack boxes – no auto or relic, inserts not as listed on wrapper- 3 sets were short 1 or 2 cards, 1 set had an extra and worst of all numerous duplicates in base set. Maybe Hobby better but I doubt it. Topps has been the standard for many years. Great for young and old, beginners or people that have been collecting for years. This set however is a bit much. Pros: Design – I think this a solid design and I happy Topps hasn’t just copied the design for each sport like they used to. 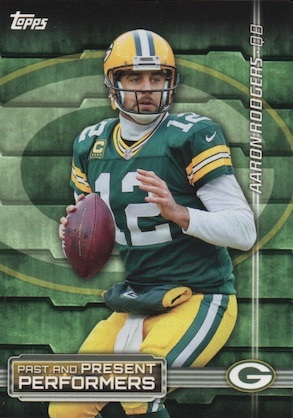 They didn’t keep it simple – There are 5 Aaron Rodgers cards in the base set…WHY? Put the All-Pro flag on the base instead of a separate card. I’m tired of the fantasy football junk as well. They are pointless. Finally I would just like to say to those complaining about the hits. Guess what this is not a hit based product. Read the product details and summary so you know what you’re buying. Least attractive Topps set in years! Even the photography not as sharp as past sets. are the sp variation autos worth more?? 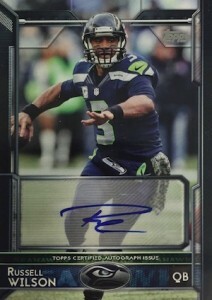 I really hope this is not the last in a awhile for Topps Football, as Ryan alluded to in April. Topps has been the primary manufacturer in a hobby that has changed drastically in the past 50 years. I’ve been collecting sports cards since 1968 when I would go down to the corner store and blow my allowance on packs of Topps cards at 10 cents a pack and included a stick of bubble gum (Which Topps discontinued in 1992). 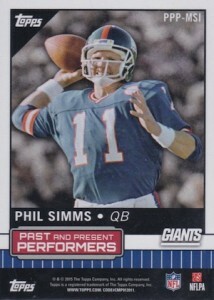 Although Panini has absorbed Score and DonRuss and improved the product, I still prefer Topps over Panini. I don’t see this in the listings but I got a 1976 Topps card in here. It’s got the 60th imprint on the bottom left hand corner. Atlanta Falcons QB Steve Bartkowski. Any info on this? Michael � It’s a stamped buyback card. They are noted at the bottom of the checklist. Nevermind, must be a buyback card. Don’t see it anywhere else, so thought to mention that the 72 card Walmart $9.99 hanger pack states ‘Exclusive 60th Anniversary Blue-Bordered Cards inside! Collect All 100,’ may want to add that to the 60th Anniversary Set Checklist info. I like this years product as always. Of course it’s hard to get the “big hit” but nice patch card set and checklist. From my 1 hobby box I’ve got so far I got: 1 rookie patch auto/50, 4 golds, and a pink…not bad. Can’t wait to bust another box! Collecting the red ser/60 parallel set. Like the overall look, photos and design. Only complaint is small printing on back requires hubbell telescope to read. Design backs that are legible. Question for anyone. How many parallel sets does the 100 card 60th anniv set have? I’ve seen red, blue black, but not much info. Is the red foil parallel the same as the target, blue foil for waaahlmart? Thanks! There is a misprint on one of the Zack Martin cards, and his name is spelled Zach Martin. How common is this misprint? In researching this product to try to finish the Christine Michael “rainbow”, I found that there is an orange variant to the base cards numbered #/75. The ones on COMC are insanely priced. What a drag. I’m a fan of this release but I have found a purple parallel from a blister pack that I acquired. I can’t find any checklist information on these. Any word on them? Thanks! Marc � I believe they are a Toys R Us exclusive parallel. Has anyone completed the 60th Anniversary autograph set? Different strokes for different folks. I love this set. I’m not a huge fan of white base cards. It just doesn’t appeal to me as much so I’m loving putting this set together. I like how there are sets within the set in the first 500 cards. Not to mention the other insert sets. Great stuff. p within days right? VERY LUCKY other day Baseball card#1 Jeter SSP ..TOPPS 2015 Any takers? I have a question for the community. The set checklist on this site says that there is one rookie auto in every 33 jumbo packs for this product. What exactly is a jumbo pack? I know there are two different 36 ct. packs and one 50 ct. pack (there probably even more variations of packs that I don’t know about). But none of the pack wrappers in stores have anything remotely near 1:33 chance listed for a base rookie auto. Is this site misinformed? 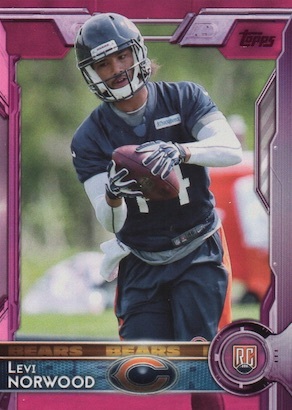 Shane Revis � The Base Rookie Autograph odds, like all the other listed odds on this page, came directly from a Jumbo Hobby pack wrapper. Perhaps you are looking at retail packs. Warning: old-timer rant ahead. 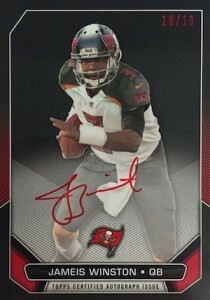 I like the Topps 2015 design and I love the shiny red parallels #’d to 60. I also like the size of the set. The stamped buybacks are kind of silly. The biggest problem I have with this set is there are so many themes (AP, FS, T60) that serve only to repeat star players. 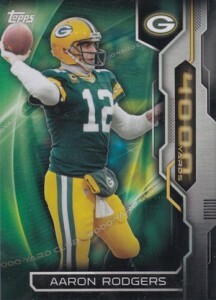 I’m a huge Packers fan but I don’t buy Topps to get 5 different cards of Aaron Rodgers in the same set. ALL other sets are like that – stars and rookies only. Topps is the one set I would hope would recognize important players regardless of position. Am I the only person who would appreciate cards of Josh Sitton, Travis Frederick, and Mike Iupati? I want meat and potatoes with my gravy. Keep the set at 500 cards, lose the fantasy studs, lose the T60 subset, include 2-3 linemen per team. Is there a checklist of the buyback cards for this set? Love the set. Actually fun to open a pack. But what is blue foil in the anniversary set? Blue foil is a Walmart-only parallel.